Researchers and manufacturers are leading the charge on improved lithium-ion battery safety after a number of costly high-profile mistakes rocked the electronics industry over the past few years. Lithium-ion battery safety remains a focus as the electronics industry continues to grow. The size of the global lithium-ion battery market is expected to exceed $69 billion by 2022, according to a recent market report. The market is bolstered by growing consumer interest in electric vehicles and electronics. In addition to improvements to manufacturing processes and traditional safety features like current interrupters and shutdown separators, other technologies are vying to protect lithium-ion batteries. Researchers from the University of Rochester have landed on a unique electrolyte that acts like oobleck, the cornstarch and water mixture used at scout camps and craft days. Oobleck acts like a liquid until quick pressure is applied – freezing it into a solid. The researchers said the material will cause batteries to harden on impact, preventing dangerous combustion. There are other ideas, too. One California firm called Amionx is betting on a liquid coating that works like an electrical fuse to interrupt dangerous current levels, protecting the battery from failure. Lithium-ion batteries, which are becoming ubiquitous in electronics, were marred by a series of headline-stealing manufacturer mistakes in the past five years. Samsung’s Galaxy Note 7 packed a 3,500 milliampere hour lithium-ion battery that caused two major recalls and cost the electronics manufacturer more than $5 billion. The Galaxy Note 7 was poised to be one of Samsung’s flagship mobile devices and instead caused a company-wide crisis and was eventually canceled. The Galaxy Note 7 in 2016 became technologies’ biggest joke as the world watched videos of the $600 smartphone spontaneously bursting into flames. The phone became a smoke-spewing Halloween costume and it was banned from all U.S. flights. The problem: an irregularly sized lithium-ion battery that overheated in one batch of phones and a rushed battery installation process that sparked failures in the other batch. Another trend in 2016 caught fire, too. Hoverboards, the trendy plastic self-balancing scooters zipping kids around on neighborhood sidewalks, met a similar fate. As sales skyrocketed so did the competition – and Chinese manufacturers were eager to get in on the craze. The battery-driven scooters were fitted with cheap lithium-ion batteries and subsequently caught fire. The scooters were banned from flights by most major U.S. airlines and the postal service. A few major retailers stopped selling them all together. Despite these high-profile blunders, lithium-ion batteries remain remarkably safe with a failure rate of fewer than one in a million. For reputable battery manufacturers, the number of incidents plummets even further with a failure rate of around one in 10 million, according to Brian Barnett, a battery safety specialist. However, battery manufacturers are still focused on extending the lifespan of lithium-ion batteries by investing in improved manufacturing methods to enhance safety. Lithium-ion batteries are close to their energy limit and battery manufacturers are looking for the next big thing. There’s one breakthrough in mobile battery technology that could eventually replace today’s lithium-ion batteries – a battery with an anode of pure lithium. The technology would employ carbon nanospheres to control the rapid expansion of the highly volatile anode – in the form of metal whiskers called dendrites – from reacting with the sensitive chemical structure that stores electricity in the battery while permitting the efficient flow of electricity through the anode, according to a recent publication by a research team at Stanford University. 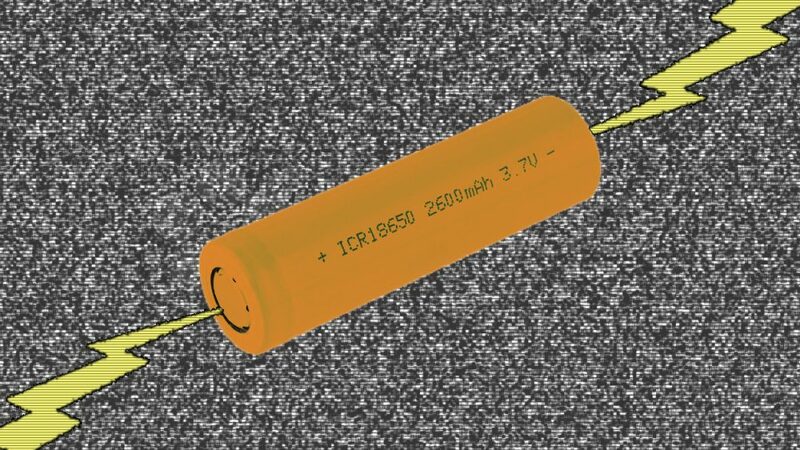 Batteries consist of three basic elements including the anode, which acts as the positive terminal, the cathode, which acts as the negative terminal, and an electrolyte, which is a solid or liquid chemical that stores energy. Lithium is one of the most efficient and conductive metals usable for battery anodes and scientists have struggled to find a solution to control its fiery impulses for utilization in batteries. The core technology is not exactly new. It was used early on in lithium battery research in the 1970s but faded out of favor in the late 1980s because of its volatility. And while the technology has a way to go, the Stanford research team said it “is now ready for a revival.” The 96-year-old co-inventor of the lithium-ion battery John Goodenough called the technology a “significant step,” but he and his research fellow Maria Helena Braga at the University of Texas at Austin see all-solid-state batteries made with an alkali metal anode and glass electrolytes, which prevent the formation of dendrites as the future of rechargeable batteries. Meanwhile, lithium-ion batteries are getting incrementally better with new battery cell configurations and efficiencies improving capacity by around 10-20 percent in the past several years. More crucial is energy management technology from intelligent hardware and software which will greatly extend battery run-time for now. Before the next big thing in mobile battery technology, intelligence in computing will allow devices to run longer and longer. It’s the technology behind the battery, not the battery, most responsible for extended mobile device run times. If you have any thoughts on mobile battery trends, leave a question or comment below. For more information about Juniper Systems’ lineup of rugged mobile computers, tablets, and GNSS receivers contact us here or visit Juniper Systems online. Cody Draper is a product manager at Juniper Systems. He studied electrical engineering at Utah State University and had worked in engineering for 13 years.